What’s New at Legacy at Jordan Lake? It’s match point. You have the chance to win it all right here. Do you go with power or finesse? Your first serve has been doing great all day, but your opponent has started to catch on. You think aloud as you bounce the tennis ball one, two, three times with one hand, all while you spin the racket in your other. You decide power and fire off your best serve of the day. It’s an ace! You win! Okay, this isn’t the final at Wimbledon, but it might as well be. Let the next great match of your life happen at Legacy at Jordan Lake, where our tennis courts are now open! Live, Learn and Play at Our Kompan® Playground! 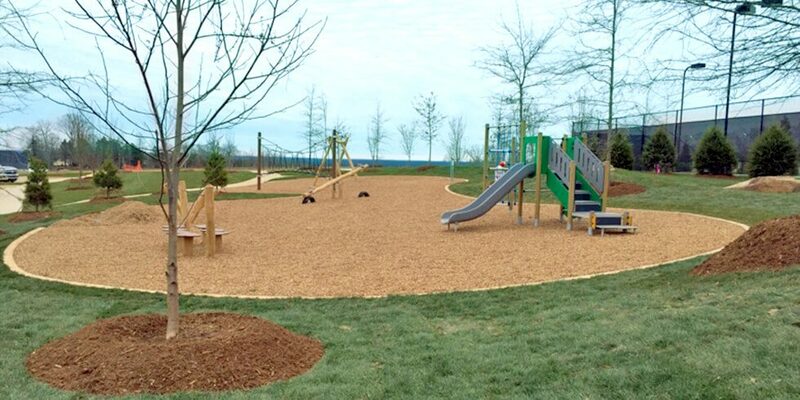 Gone are the splinter-infested playgrounds of yesteryear. No longer will child have to struggle down a scolding hot metal slide that would scar them for life (mentally and even physically sometimes). Yes, my friends, those days are gone. Here at Legacy, we have implemented a state-of-the-art Kompan® playground. A Kompan® playground pushes children to help them develop critical physical, and social skills! So you, as a parent, can sit back and relax while your child explores an interactive playground that allows them to feel safe, secure, and at ease to play freely. WE HAVE GROUND BREAKING NEWS! We’re about to break ground on our state of the art fitness center and resort-style pool! Okay we’re going to ask you to read this next paragraph and then close your eyes and imagine yourself there. Are you ready? It’s hot out, we’re talking so hot you don’t want to leave your air-conditioned living room. But guess what, there’s something more comfortable out there! And it’s only a quick walk from your home! It’s our resort style pool. The only feeling better than avoiding the heat altogether is how refreshed you’re going to feel the second your body hits the water. Our resort-style pool and state-of-the-art workout facility will be up and running late summer 2017! Be on the look out!